1. Believe in yourself: you can learn it. This is the most important step. Are you ready? Visualize that you are knitting a lace shawl. Let move onto the next step. 2. Choose a not too complicated pattern you like. How do you know what is not too complicated? Try not to decide by how it looks like! Sometimes a pattern looks very complex on the picture, but actually it isn't. Read the pattern description for who the pattern is recommended for. 4. Use Google and YouTube. Search for the stitches/methods you never worked before. Watching a video or a photo tutorial will help. Find your community where you can get help. In my Ravelry group you can find a thread for questions. Do not hesitate, there is no stupid question. My newest pattern named "Greenhorn" is designed for you. It includes a very detailed description on how to knit the shawl. As warm up you knit a stockinette stitch section, than you start with a double yo pattern. After then you add a new row to the pattern, and a new again, always only a very tiny change! Between lace patterns you will get some “rest time” with some stockinette knitting. You won’t notice but suddenly (and confidently) you will have knitted your first lace shawl. 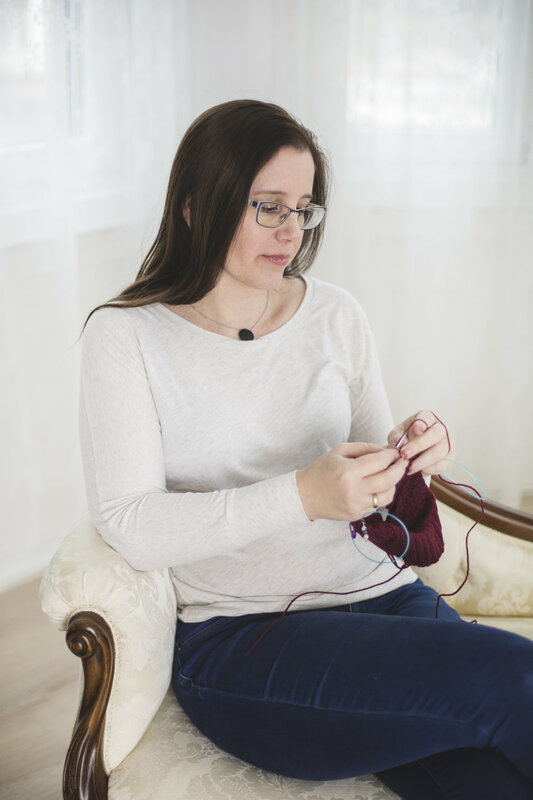 Are you not a beginner lace knitter? It don't want to keep you away from knitting, this can be a relaxing project for you. I used very simple lace patterns, but its combinations give a very nice look.